Our strong knowledge in the English language could be a global tool in personal economic growth, particularly if you’d consider the business process outsourcing industry in the global landscape. Despite this, Filipinos are still very dependent on attaining college degrees in terms of climbing the professional ladder, as a college diploma is still a very basic requirement or qualification in landing on financially fulfilling jobs. Luckily though, a lot of advancements have happened in the modern Philippine education system that is designed to empower Filipinos personally and professionally. One of the most notable milestones in the Philippine education is that the government actively seeks to expand access and participation in higher education and, even more importantly, tries to improve the quality of education. Although the participation in higher education in the Philippines has expanded in recent years, with the gross tertiary enrolment rate growing from 2.2 million in 1999 to 4.1 million in 2016, the information from the Philippine National Development Plan that we have a shortage in local “researchers and innovators” should not be overlooked nor ignored. Enrolment rates for college students are expected to expand even more, with the bold decision of President Duterte in 2017 to make education at state universities and colleges tuition-free, yet this does not automatically mean that such changes can result in producing a new generation of researchers and innovators. On the other side, the previous administrations K-12 reforms have inevitably led to decreased rate of college enrollees, too, at least in the short-term, since many of the students that would usually have entered higher education after Grade 10 now have to complete two additional years of school. 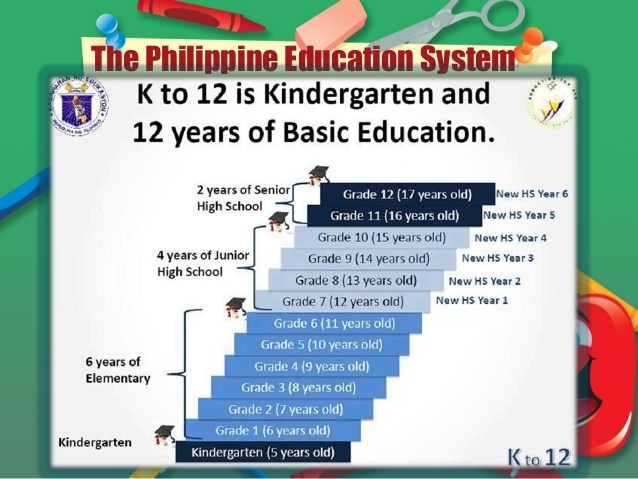 In 2013 the Philippine government initiated the extension of the country’s basic education cycle from ten to twelve years—a major reform that former Education Secretary Armin Luistro has called “the most comprehensive basic-education reform initiative ever done in the country since the establishment of the public education system more than a century ago”. Between 2015-2016 and 2016-2017, the total number of tertiary students already dropped from 4.1 million to 3.6 million—a decrease that is particularly apparent when looking at undergraduate enrollment rate, according to data from the Commission on Higher Education. Despite some predicaments, qualitative improvements and achievements in the Philippine education system are still notable in a number of areas. This includess a slight increase in the number of higher-education faculty holding higher degrees. The percentage of instructors with master’s and doctorate degrees grew from 38.87 percent and 11.09 percent in 2010, respectively, to 40.34 and 12.62 percent in 2015. The number of higher-education institutes with accredited education programs, which is not mandatory in the Philippines, increased by more than 40 percent between 2010 and 2017, while the passing rates of candidates sitting for professional licensing exams, a measure of academic effectiveness, jumped from 33.9 to 58.6 percent between 2010 and 2015. Despite the shortage of innovators, researchers and knowledge producers in the country, it is great to note that Filipinos are generally prioritizing higher and advanced education. In fact, there have been a wide interest in international education among Filipinos, as well as nontraditional educational courses outside of the typical college courses. According to the Australian embassy in Manila, Australia continues to be one of the top preferred learning destinations of Filipinos, with more than 10,000 students coming to the “Land Down Under” for their education every year. Australia is a global education powerhouse with some of the world’s best facilities and educators, providing students with over 22,000 courses across 1,100 institutions. The Education Centre of Australia (ECA) is one of the top institutions in the country that have helped Filipinos achieve their aspirations in international education. ECA is a diverse education group that operates at the forefront of Australia’s higher-education sector. Over the past two decades the education center has helped Filipinos transform their lives through English language courses, undergraduate pathways, postgraduate degrees and targeted internships. ECA works in partnership with quality university providers and operates several highly successful colleges. Locally, some private colleges-institutions and premium universities continuously hone Filipino college students to be at par with international educational standards. De La Salle University (DLSU) has always had a vision for internationalization of education in the country with its partnership with the British Council, the UK’s international organization for cultural relations and educational opportunities. DLSU, a private nonprofit Catholic research university with a vision and mission of being a leading learner-centered and research university bridging faith and scholarship, has positioned itself as a leader in molding human resources who serve the church and the nation. Nestled in the heart of Manila, DLSU is home to local and international students seeking quality education for a brighter future ahead. It is situated in a vibrant city where culture and diversity are well manifested. With its partnership with the British Council in the Philippines, DLSU has expanded and diversified academic mobility for both faculty and students, as well as has internationalized research and academic programs. With the said partnership, DLSU has focused on strengthening the education and courses on innovation and entrepreneurship, digital technology and creativity, design engineering and agriculture with its international reach. For learners who want to pursue traditional aspirations like being medical professionals, De La Salle Medical and Health Sciences Institute (DLSMHSI) is still one of the go-to medical academes in the country. The DLSMHSI is a premier higher-education institution that is committed to teaching and forming future medical-and health-sciences professionals who will have the commitment and dedication to become catalysts of the spiritual, social and economic transformation of our country. The DLSMHSI is part of De La Salle Philippines, the network of schools in the Philippines, which are managed by the De La Salle Brothers. The DLSMHSI offers academic degree programs in medicine, biochemistry, medical-laboratory science, nursing, occupational therapy, pharmacy, physical therapy, radiologic technology, and speech and language pathology. They also offer a master’s degree in nursing and a special health sciences high school (Grade 11 and 12) curriculum. The university takes pride in offering premium higher-educaton in the medical field. 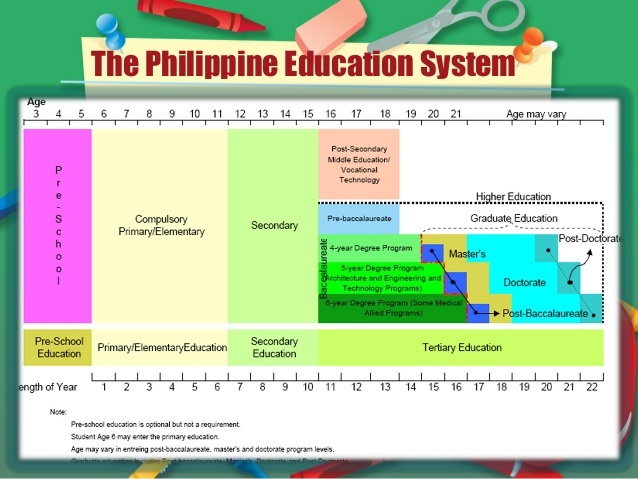 With the efforts of the local government, the advancements of local-educational institutions, corporate social-responsibility initiatives of corporations and the individual pursuits of Filipinos for personal empowerment through education, a rise on the number of innovators, researchers and knowledge producers” in the country may not be a problem anymore in the near future. As a nation, we just have to redirect our focus in terms of continuously advocating higher education by support any efforts in the improvement of our educational system. Individually, we just have to be more open to educational opportunities, and maximize our edge as English-speaking citizens, a major benefit in global commerce and education. Being more pro-active in teaching ourselves to be our own responsible innovators and knowledge producers for our own professional and financial gain. After all, as a nation, we are also very much into technology and the Internet. With research and a few clicks here and there, we might actually stumble on some local grants, interesting online courses and international scholarships that can upgrade us educationally and economically. Continuous learning and education, after all, are still the greatest investments we could give to ourselves.